Horley got back to winning ways against a Chipstead team who were two players short, meaning Horley players acted as substitute fielders. Skipper Joe English was the Man of the Match thanks to the 17 he scored from 16 balls at the end of the Horley innings, and his two wickets for five runs from two overs. 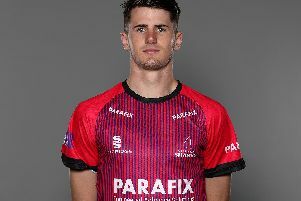 Ben Stewart got the home side off to a fine start, making 16 from 18 balls and he was well supported by Benji Benetar, with the duo running well between the wickets. Joseph Barton hit a good boundary and Evan Grimwood added 15 from 14 balls before English and Bailey Warren finished off the innings and saw the Horley total to 281. Only two Chipstead batsmen made double figures in their reply, while English took his two wickets in the final over, Hugo Hobbs, Benetar, Taylor Brooks and Ben Mitchell all claimed one apiece and Warren was menacing behind the stumps, adding a different dimension to Horley’s fielding.